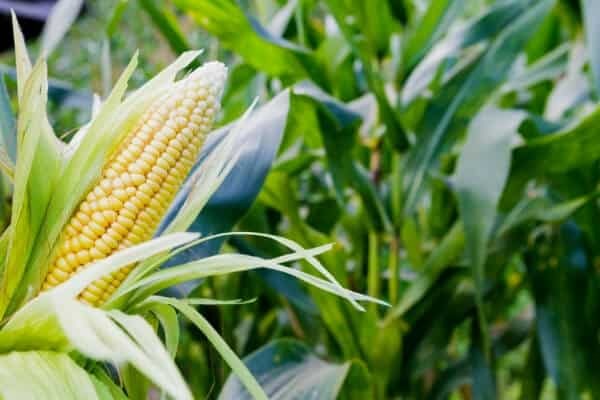 In this article: Learn which crops are the best corn companion plants to improve the growth and flavor in your corn as well as deter pests! Companion planting in your garden can help your plants grow better, taste better, and have less problems with pests and disease. It is a time honored technique that has been used in organic gardens for years. First off, corn is a cereal grain in the grass family. Other cereals grasses include wheat, barley, rice, and millet. What can you grow with your corn in your vegetable garden and what should be kept far away? 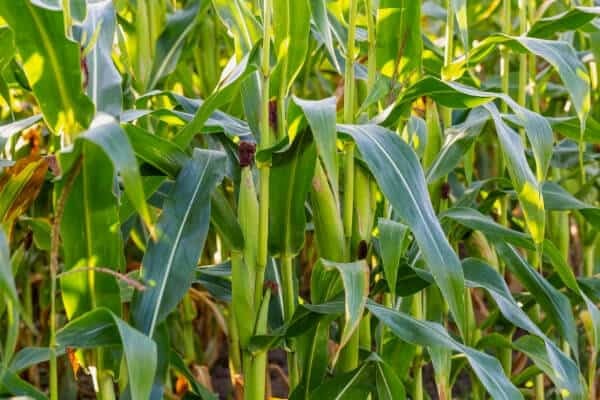 Below you will find a list of corn companion plants that you can grow alongside your corn bed to prevent pests and disease. Plus a list of what you should keep separate from your corn plants. One of the most well known ways to companion plant with corn is using the 3 Sisters Method. This is a native american technique of interplanting corn, squash, and beans. Offering a mutually beneficial relationship to all 3 crops. Squash: Squash- most commonly winter squash- is one of the members in the 3 sisters garden. Squash is a good companion for corn because the sprawling squash vines offer a living mulch to your corn. This keeps weeds down and retains soil moisture. The squash vines also offer some protection from large pests such as raccoons, who will be deterred from wading through the vines to get to the corn stalks. Beans: Beans are the other member of the 3 sisters garden. Beans are a great companion plant for corn because they fix nitrogen in the soil and corn is a heavy feeder of nitrogen. It’s best to use pole beans as opposed to bush beans so that the vines can climb above the squash and use the corn stalks for support. I also recommend growing dry beans as opposed to green beans, since once everything is growing, it can be hard to get to the beans to harvest them. Peas: Peas are another legume that fix nitrogen in the soil, making is a perfect companion plant for corn. Corn and peas also grow largely in different seasons, so planting corn in your peas will save space. Cucumbers: Similar to squash, cucumber vines grow well near corn. The vines can also help deter raccoons. I prefer to grow my cucumber vertically (they just grow better!) so I suggest growing them beside each other as opposed to interplanted like in a 3 sisters arrangement. Melons: Melons are in the same family as squash and cucumbers and can be used in place of winter squash in a 3 sisters arrangement. The long vines will offer the same protection and living mulch as squash does. Dill: Dill is a great herb to grow near corn. It can improve flavor of the corn and it will attract beneficial insects such as lady bugs and parasitic wasps. Marigolds and Nasturtiums: These 2 are must in all gardens because of their ability to repel or trap pests. They can work at repelling aphids and other pests as well as attracting beneficials. Nasturtiums are great a trap crop for aphids, including corn aphids. Annual Flowers: Annual flowers are often overlooked in a vegetable garden. But they serve a purpose! Flowers will attract beneficial insects such a green lacewings and parasitic wasps, which will help your plants fight against pests. Grow flowers such as cosmos or zinnias. Borage: Borage can help repels worms that attack your corn plants. Borage will also attract beneficial insects such as lady bugs to you garden. Summer Savory: Summer savory is another herb that helps repel pests and attract beneficials. Thyme: The corn earworm is one of the biggest corn pests. Plant thyme near your corn to help repel the corn earworm. Tomatoes: Tomatoes and corn have some common enemies. 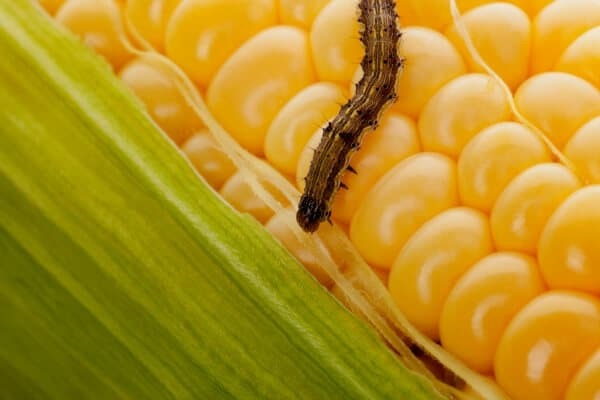 If you grow your tomato plants and corn together it will attract both the corn earworm and the tomato worm. Both of these crops are heavy feeders and will compete for nutrients in the soil. Brassicas: All members of the cabbage family including broccoli, Brussels sprouts, kale, cauliflower should be planted apart from corn. Corn shades the brassicas to much, causing them to be stunted. Both crops are also heavy feeders and will compete for nutrients in the soil. Once you have harvested your corn, check out some of the following articles to learn how to store, use, and preserve your harvest! And be sure to grab your copy of my companion planting chart down below!